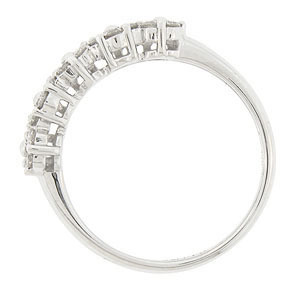 Five honeycomb clusters of diamonds ornament the top of this 14K white gold antique style wedding band. 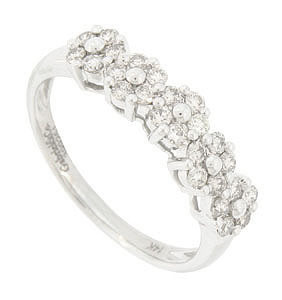 Each cluster holds five diamonds, a ring of diamonds surrounding a central white gold bead. The diamonds measure approximately .50 carats total weight. The wedding ring measures 5.10 mm in width. Size: 7. We can re-size.